Naomi Seddon | Littler Mendelson P.C. Naomi has appeared before federal and state courts in Australia, New Zealand and the United States on matters ranging from employee termination disputes, contract law, retrenchments, post-employment restraint and breach of employer confidential information issues, wage and hour disputes, union disputes and discrimination and harassment matters. She has advised and acted on behalf of employers of varying size, across many industries and countries. In addition to Naomi’s international employment law experience, her experience working at both employer and employee representative firms, and advising in matters for and against union and employer groups, provides her a unique perspective to advise her clients. 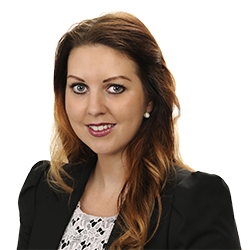 A nationally accredited mediator in Australia, Naomi has extensive alternative dispute resolution experience. Naomi has bachelor and master of law degrees and has completed post graduate studies in legal practice. She is also an Australian Registered Migration Agent (MARN 1462779)*. Australia: Government Seeks to Redefine Parameters of Paid Parental Leave Entitlements to Prevent Employee "Double-Dipping"